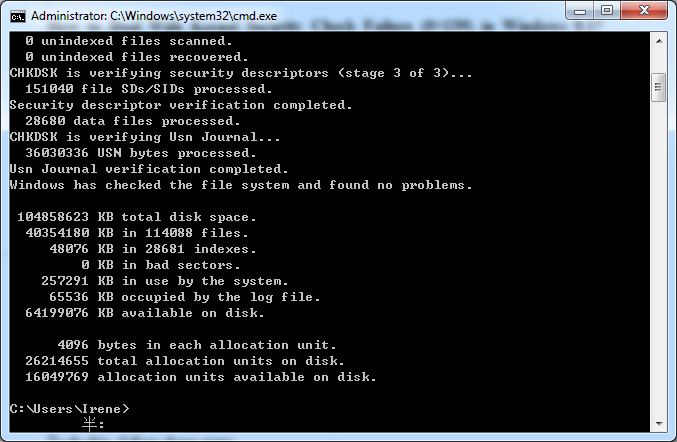 Allow Windows locate bad sectors and recover readable information from the drive. However, if you find this resolution unsuccessful in eliminating your concern, let’s see if you have outdated drivers causing this terrible suffering. Also, refer to hard drive optimization tips and tricks. Microsoft infuses a handy Update feature in all modern Windows versions, the Windows Update. Run this utility to automatically install any available updates and remove outdated/unsupported drivers leading to the error. Often, unsolicited guests hosting on your machine can prompt invalid memory requests, leading to dire problems. Therefore, make sure you keep your antivirus software updated with the latest happenings around the malware arena, and fight unwanted visitors residing on your computer. It would be helpful to schedule daily or weekly scans to ensure maximum protection. It is possible that you or some third-party software may have made undesirable setting’s change that is causing this mess. 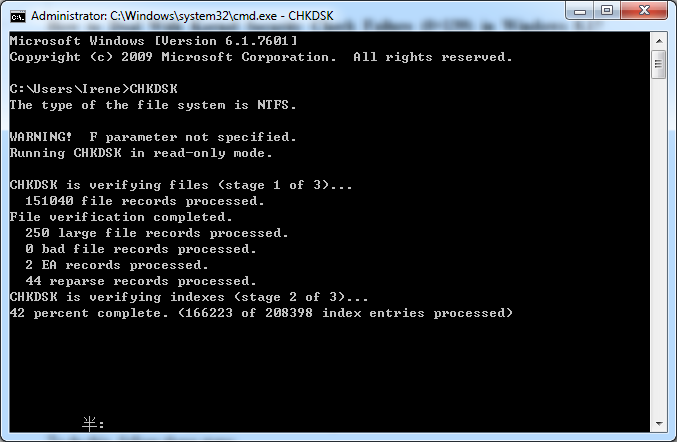 This could happen from a bad program or device install/uninstall, tampering crucial registry values, etc. 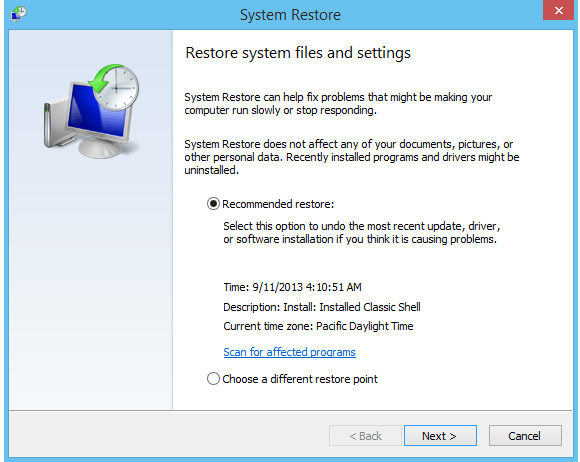 To undo these alterations, use System Restore feature to revert to prior system configurations that were working just fine. After a restore, browse through your normal activities and notice for any malfunctions. 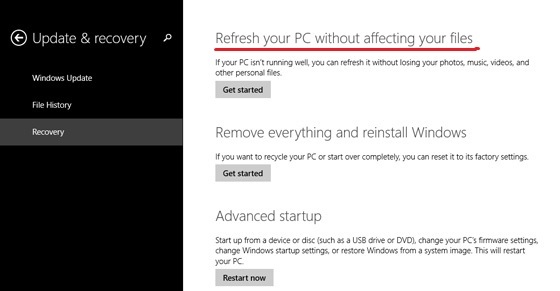 Note: If the BSOD happens to appear again, reinstall Windows using the PC Refresh option and remove this peril once-and-for-all.